Course overview | Learn about your brass instruments; how it works, how to identify problems, see what can go wrong and how to fix it. Offering an opportunity to learn how your instrument works and how to clean, care for and fix problems. With expert guidance you will observe and practice repair skills and learn how to check if your instrument is performing at its best. Using the dedicated teaching workshop at Linton, near Cambridge, you will have access to the guidance, tools and materials you might require. We have a range of instruments for you to practice on. You are also invited to bring your own, a students, or an instrument from school to work on. These courses are aimed at professional musicians, music teachers and college students as well as interested musicians and craftspeople. As a musician, knowing that your instrument is functioning at its best will give you greater confidence and improve your playing experience. The aim is to equip you with the skills needed to identify problems, undertake successful emergency repairs and maintain your woodwind instrument in good playing condition. Please note that this is a maintenance and emergency repair course which cannot cover the extensive knowledge and practice required to re-pad an instrument. 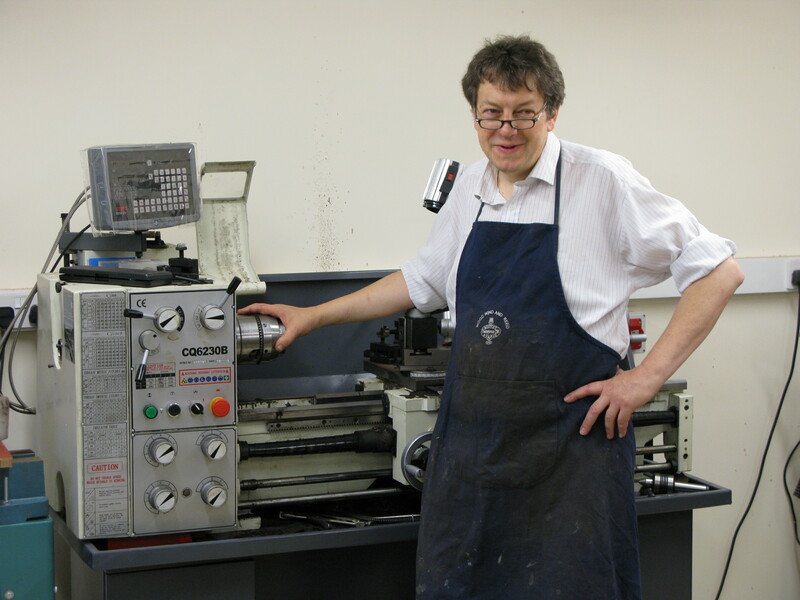 Michael has many years experience in brass repair as well as making long trumpets. He also joins us for our annual Long Trumpet Making course. The course fee covers all the materials, use of tools and expert tuition. It also includes light refreshments throughout the day. Abilities | Suitable for adults and students over 16 years old; musicians, artisans and craftspeople. What to bring | You will need to bring at least one instrument of either your own, a student, or a school. You will also need to wear workshop appropriate clothing. Aprons and overalls are available. Remember glasses if you need them, the work involves looking at small details. If you have any tools of your own, then please bring, making sure they are marked or labelled. Lunch | If you don’t wish to bring a packed lunch food can be bought from local stores, pubs or cafes, all within walking distance of the workshop. We have a well equipped kitchen available for use by course participants. If you weren’t looking to do repairs yourself, please contact Wood, Wind & Reed music shop in Cambridge on 01223 500442 and they will gladly help!